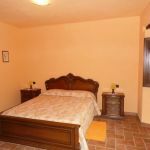 Beautifully restored classic stone built Casa Colonnica, with private pool, Franchi provides spacious accommodation for large groups. 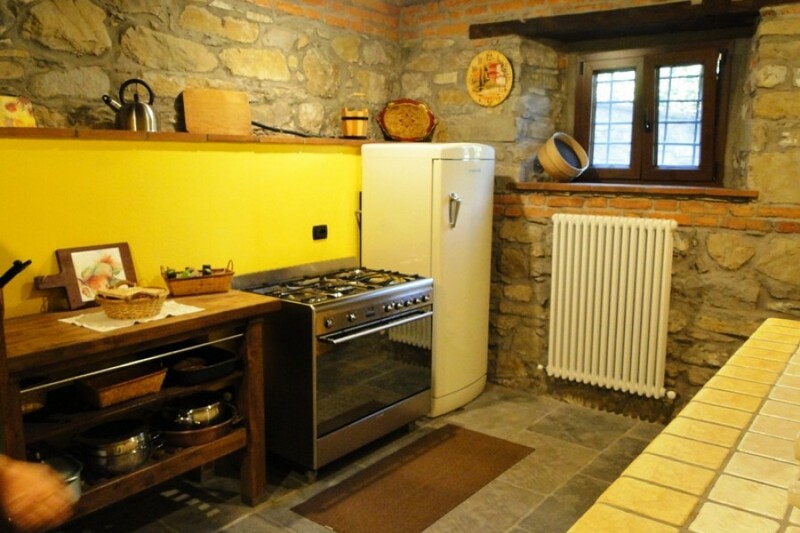 Family Kitchen- double oven, 5 ring hob, dishwasher, microwave, marble sink and work surfaces, large fridge. Washing machine. Lower ground. Single bedroom, with en suite shower room. Double bedroom, open onto bunk room. There is no door between but beds are private from each other. En-suite shower room. Fridge. TV. 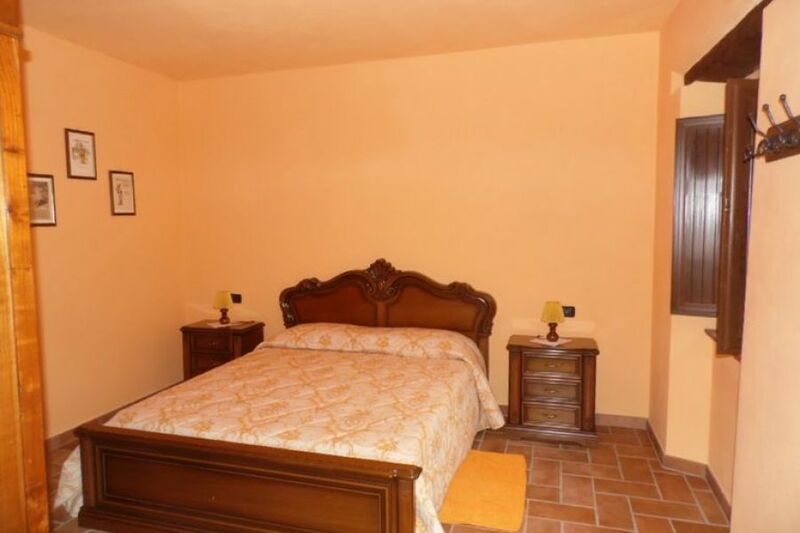 Double bedroom, open onto single room . There is no door between but beds are private from each other. En suite shower room, TV. 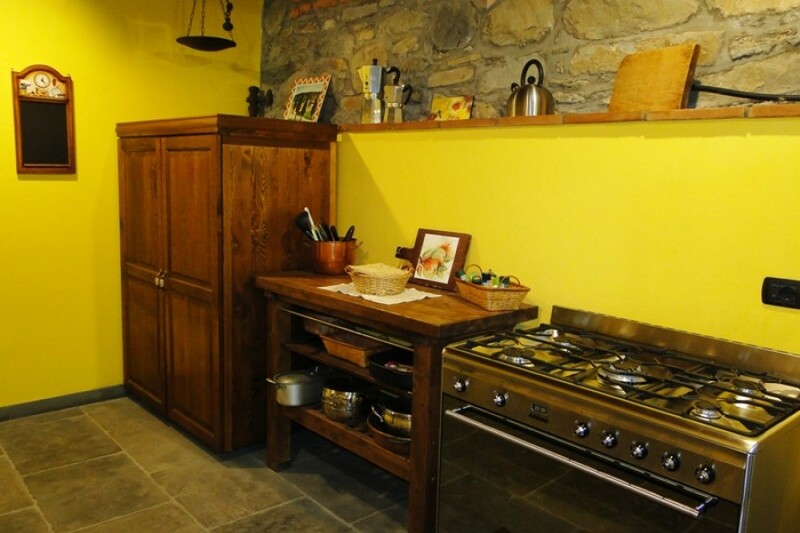 Leading to small personal kitchen area (sink, fridge, 2 ring hob, table) which leads onto arched terrace. 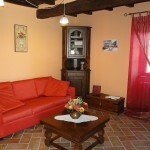 Conveniently situated on the outskirts of the small mountain village of Filicaia, approx 1 hour North of Lucca. 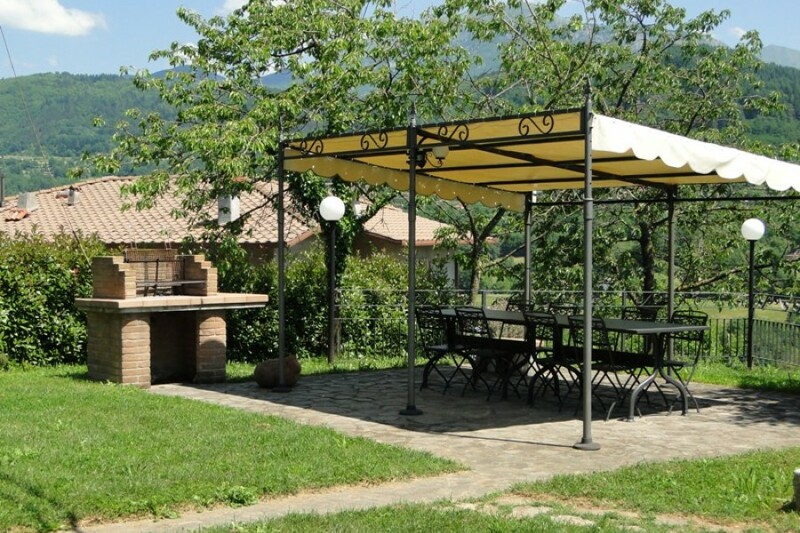 The villa is situated in wonderful mature gardens,and the views from the house are absolutely beautiful, with the garden boasting views over the Serchio Valley, which itself is nestled between the Apennine, and Apuane mountain ranges. 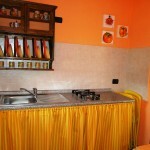 In Filicaia itself there are 2 bars, one of which serves pizza at weekends, a small food shop, a bank and a post office. 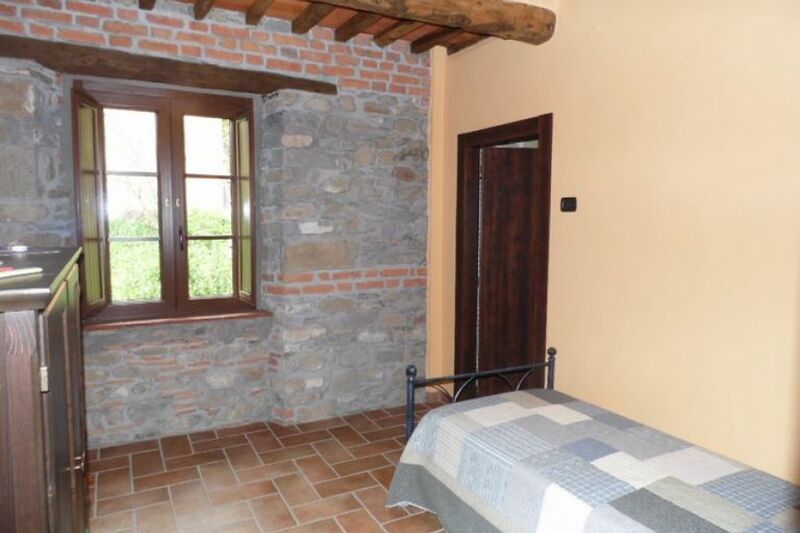 Less than a 10 minute drive away is the local historic market town of Castelnuovo, with its various bars & restaurants, supermarkets and well-known Thursday morning market. For days when one wishes to explore further afield, the stunning walled mediaeval city of Lucca is 50 mins/1 hour away. Only a 30 minute drive is the popular mediaeval town of Barga, with its cobbled streets, wealth of restaurants, Cathedral, beautiful architecture, regular music festivals and great views! Grotta del Vento, the wind caves is a 40 minute drive, and is worth a day out. Pisa, for exploring the tower and of course for the airport is a 90 minute drive, with Florence circa 2 hrs. More locally, there are plenty of opportunities to explore local towns, hill top villages, to walk and picnic, ride horses, fish, zip wire through the trees, visit the local fortress or the National Parks, swim in the river, or simply relax. 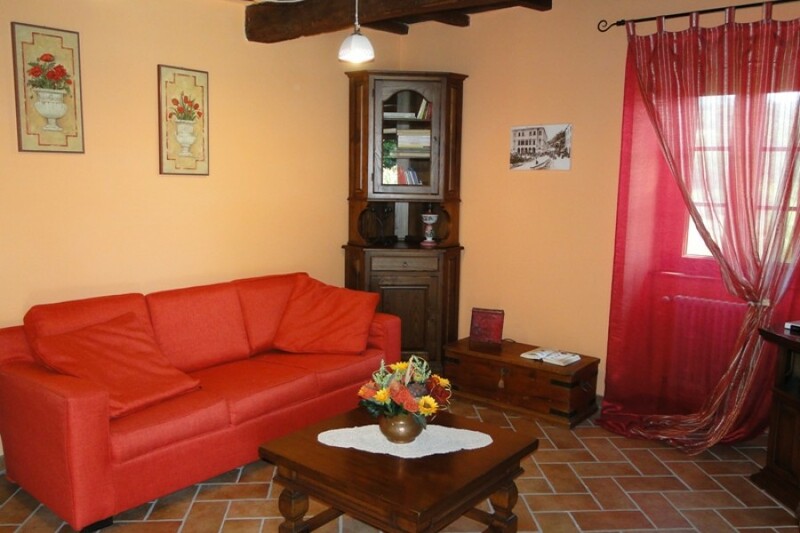 A good choice for a country/village stay, with some facilities within walking distance! We had a perfect vacation in this wonderful house, we where the whole family, there was a lot of space, nice kitchen, perfect terrace for relaxing and dining. Nice swimmingpool. When we booked 3 families with children aged 10-13 years, we discovered on Google Maps that the house with garden is on the main road. We wondered if this would be annoying, but due to the differences in the height of the large garden, this was not the case. 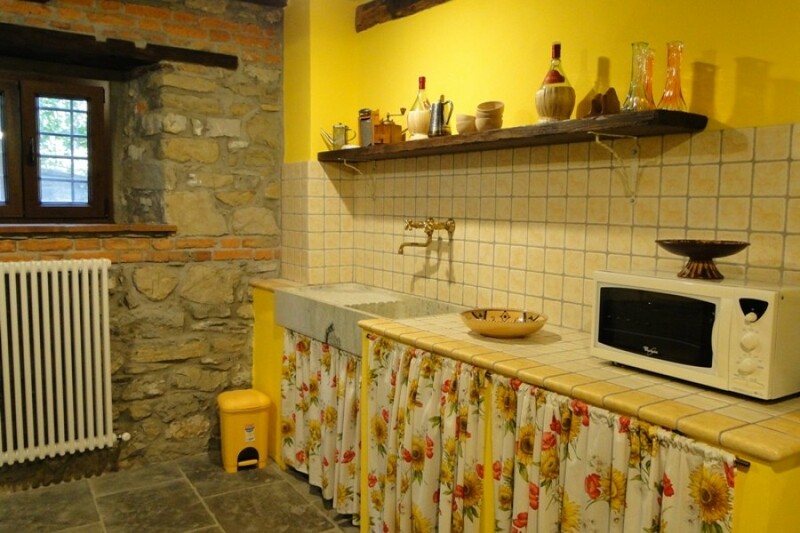 The house is beautifully situated on the hill and offers beautiful views. In the low season it is used as bed and breakfast. 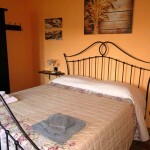 You can notice that the spacious bedrooms, all en suite have a children's bedroom and bathroom. Furthermore, on the furthest layer of the house is a restaurant area, as the children called it. In this space we have never eaten because we ate outside on the long table on the terrace. The surroundings are beautiful, the mountain roads are an hour's drive away. 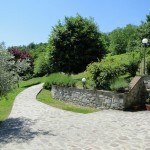 A true recommendation, according to all of us, is the walk through the canyon of Orrido di Botri. Delightful 3 hours climb over rocks in a beautiful gorge with lovely cool water to a waterfall with small swimming pool and back. The construction pool in the furthest corner of the large garden also worked coolly, it was only a pity that it could not be pushed and dived. 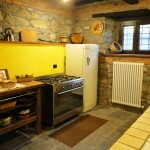 The villa has been carefully renovated and furnished, the large stove and oven are nice for a large group. We missed some glasswork, but a few glasses were brought on request. The communication with Laura, who lives with her husband in the neighboring house, is nice. We had a top holiday week! 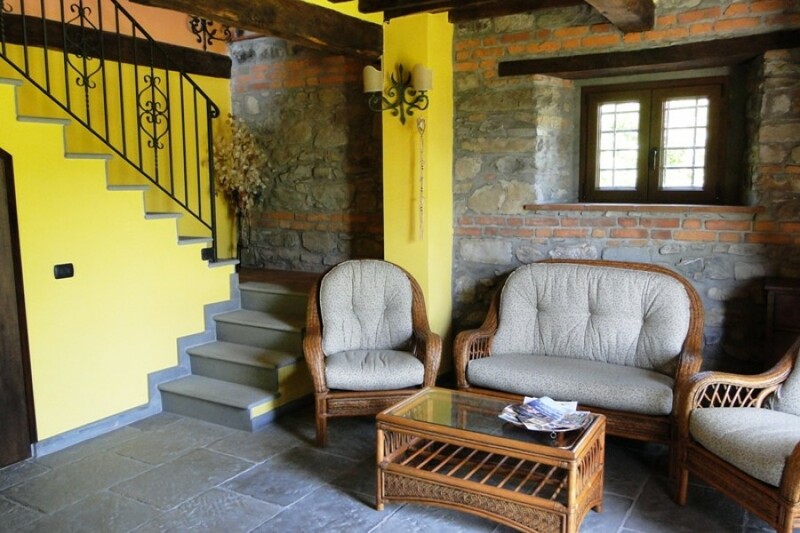 Lovely house close to the cozy town of Garfagnana Castelnuevo. 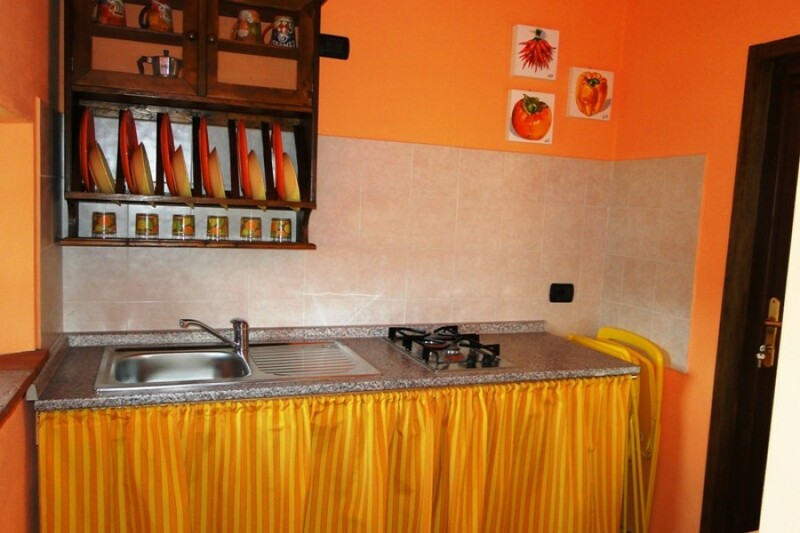 The house is exactly as shown on the pictures. Nicely decorated and good mountain views. 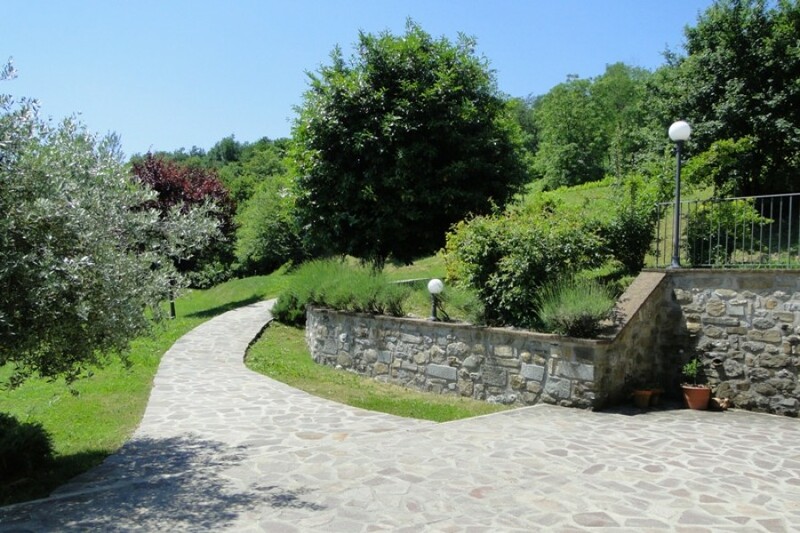 This delightful,traditional style villa is situated in a large, well designed garden with a swimming pool and areas to sunbathe or relax in the shade, all with stunning views of the Tuscan hills! 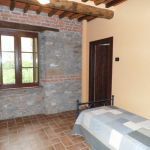 The rooms were very comfortable and the villa well equipped for a larger group (8 in our case) - plenty of space to eat and relax - indoors and outside. The owners were friendly and helpful, and responded quickly to any queries. We had a wonderful family holiday! Nous avons passés ( 2 familles avec adolescents ) de très bonnes vacances dans cette maison magnifique et tout confort . propriétaires très acceuilants et toujours prêts à rendre service ( que je remercie encore pour leur gentillesse ) . Région magnifique à visiter et proche de hauts lieux touristiques italiens ( Pise / Florence / les 5 terres...) . Location à vivement recommander pour des vacances. Google translated -"Very nice house in a beautiful region"
We went (2 Families with older children) a great vacation in this beautiful home and comfortable. owners very welcoming and always willing to help (I thank for their kindness). Beautiful area to visit and close to top Italian tourist places (Pisa / Florence / 5 Terre ...). Rental highly recommended for holidays. 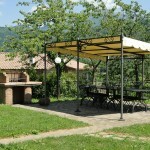 I highly recommend this villa for your stay in Tuscany. 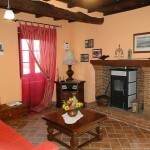 The villa is located with stunning views and has everything you might need for your stay. 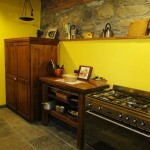 The kitchen is modern and well equipped - cooking dinner for 12 persons was not a problem at all! We really enjoyed the patio where everyone can sit outside and eat for hours - since there is a roof and blankets are available you can sit outside even when its cold or it it rains. 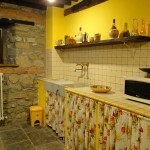 The property was really well-maintained and the owner was very friendly and helpful. I have to say we did not know what to expect on our first family trip to Italy but this house was amazing and it exceeded our expectations. The owners are truly special people and went above and beyond to make sure our family of five was comfortable. 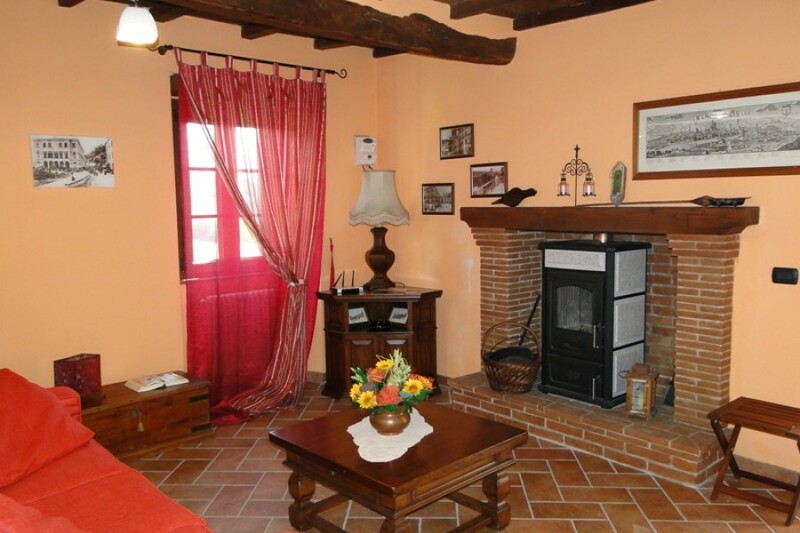 The home is spacious and beautifully decorated with spectacular Tuscan views. The attention to detail is incredible, this house will not disappoint!